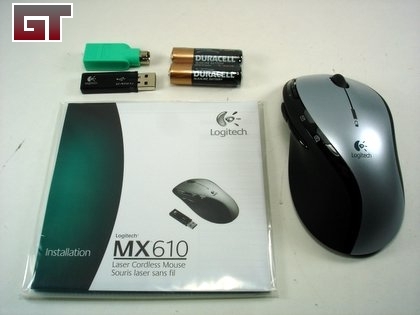 After having used my Microsoft Intellimouse Explorer optical into the ground, it was time for an upgrade. 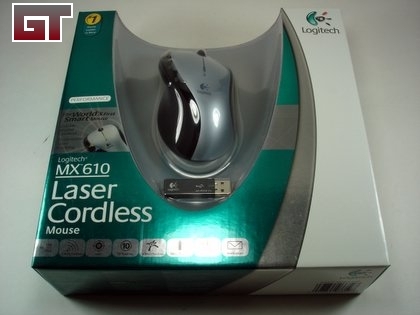 Although the MS Intellimouse was a rock solid mouse, the cord and the lack of extra buttons hindered productivity at times. Plus, the logo and some of the surface has worn off and it just felt old and clunky. 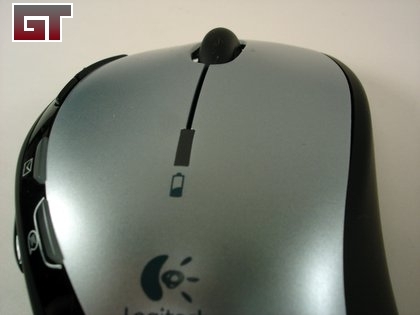 I contacted Logitech to ask if they had anything to replace my old mouse. 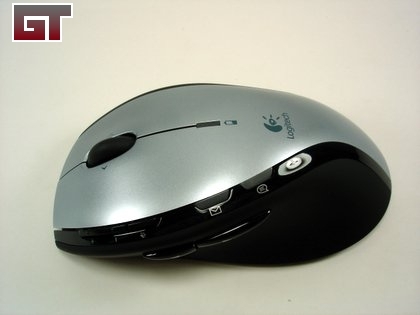 They sent over the MX610, which is what they called the "World's first smart mouse". By smart, they are referring to it's ability to communicate with the host computer. When your machine is off, the MX610 turns off as well, thus preserving power. It even alerts you when your battery is low and needs replacing. Let's see what other smart things it can do. My first impression of the MX610 is the sleek design. 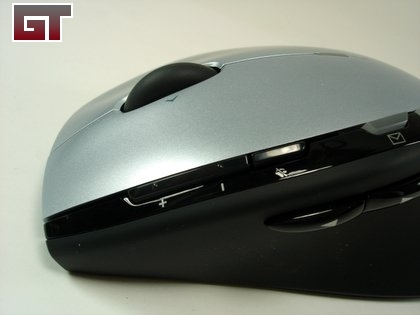 It is a bit thinner than previous models like the MX700. 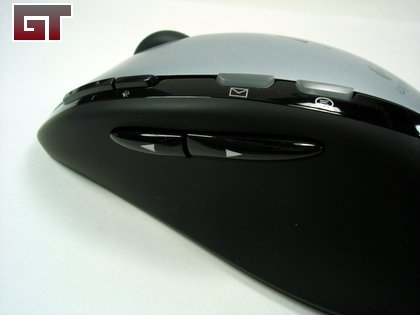 It does however retain the same design features like the rubber surface that wraps the entire mouse on it's sides. This provides a nice firm grip when using the device. Since it's design is thinner, users with larger hands will notice that the ring finger will not really have anywhere to rest on. 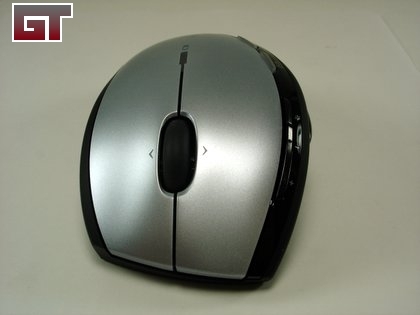 The MX610 has right and left handed versions. 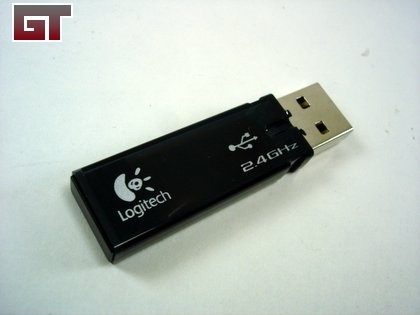 The cordless function is powered by a 2.4Ghz USB receiver. The forward and back buttons on the left side are large. The two buttons are separated by an indentation so you'll know which one you are pressing without looking. 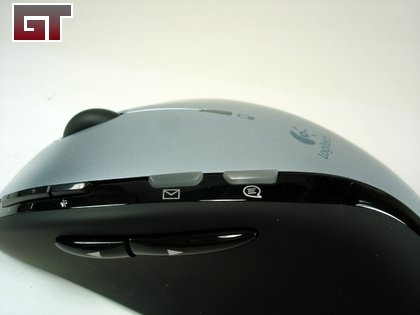 New to the MX610 Smart Mouse is the email and instant messenger notification buttons. These buttons light up when email or a IM message comes in. Unfortunately, only Outlook and Outlook Express are supported by the email notification button. The IM notification button only supports Windows Messenger, MSN and Yahoo!. That's correct, AIM is missing from that list and Outlook is the only email client supported. It would have been great if Thunderbird was included and AIM users were not disregarded. 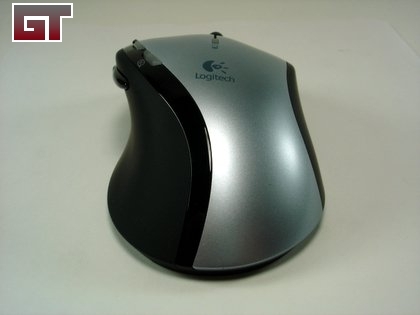 I thought maybe the included Setpoint 2.42 software lacked this support, but after upgrading to 3.0 through Logitech's website, it was still missing. Bottom line, these two buttons will end up being un-used by me. Near the left mouse button are the master volume keys. The three buttons provide volume up, down and mute. This is quite useful if you don't have this option on your keyboard or if you use your mouse to watch a movie on your computer. Makes it feel like a remote in a way with the 2.4Ghz reach. The battery alert light flashes green momentarily after it powers on. It will turn red once the battery level reaches less than 10%. The middle scoll wheel also features a tilt option. Useful when view wide documents or websites that require you to scroll across. 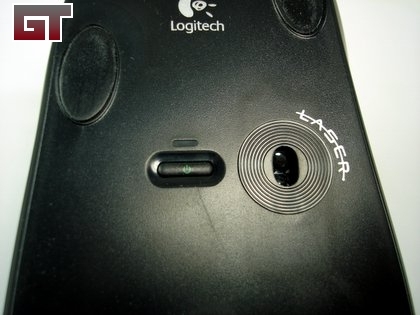 To the left of the laser sensor on the bottom of the mouse is the power button.